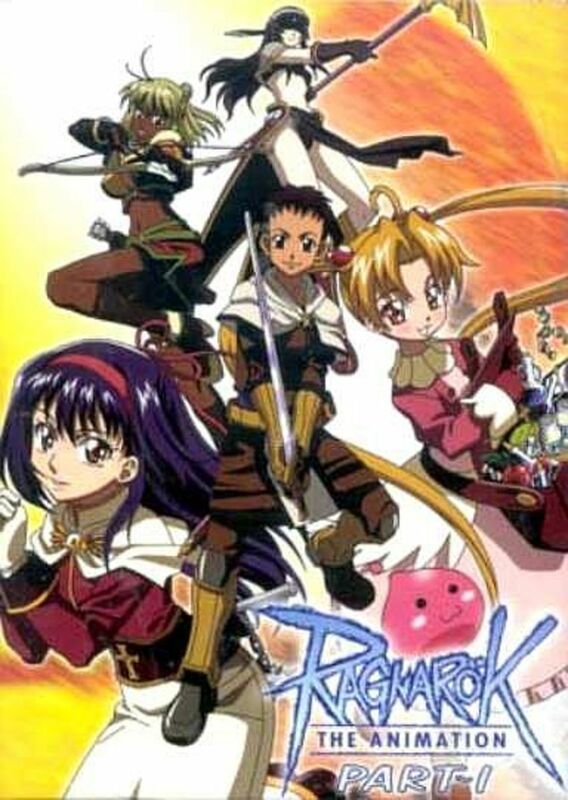 Ragnarok the Animation is a twenty-six episode Japanese anime series that is directed by Seiji Kishi and produced by G&G Entertainment, with its original run starting from April 6, 2004 until September 28, 2004. FUNimation Entertainment had obtained the licenses for the United States and Canada. Unlike most anime series, Ragnarok the Animation is neither based on nor adapted from a manga. Instead Ragnarok the Animation is adapted from the Korean MMORPG called Ragnarok Online, from GRAVITY Co., Ltd. However, the game is adapted from the Ragnarok manhwa with the same title. Ragnarok Online 2: The Gate of the World is currently under development. The manhwa was authored by Myung-Jin Lee, with its original run starting in 1995. The storyline between the manhwa and the anime are different. In the manhwa, the main character is known as Chaos. 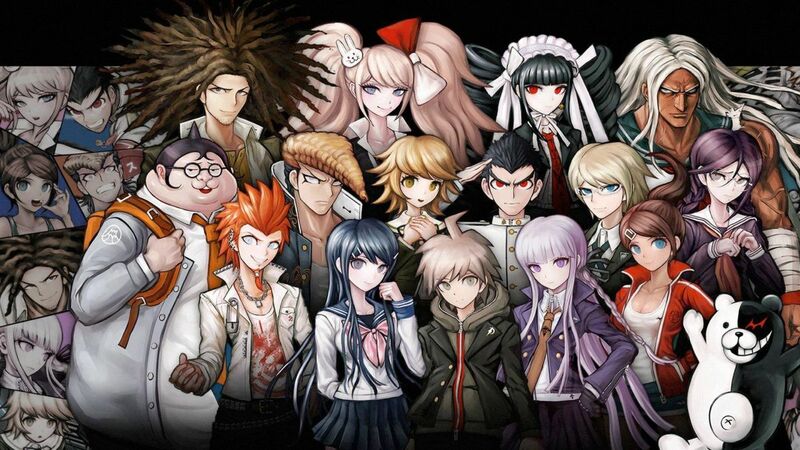 In the anime, there are six protagonists who make up a party of adventurers similar to you and a group of friends going online to form a party for the purpose of exploring and raiding dungeons. The locations in the anime are the as on Ragnarok Online. In the case of the anime, there is a set storyline in place with set antagonists. The different job classes in Ragnarok Online are present in Ragnarok the Animation. You could, in a sense, consider Ragnarok The Animation to be the Korean equivalent of .hack//SIGN. However, the world within Ragnarok The Animation is an actual world versus the world within .hack//SIGN. On that same note, this about the same as the Japanese anime called Arad Senki: Slap Up Party. This is due to Arad Senki: Slap Up Party utilizing the same plot formula as Ragnarok Online. Furthermore, Arad Senki: Slap Up Party is the Japanese anime adaptation of the Korean MMORPG title Dungeon Fighter Online which is called Dungeon 'N Fighter in South Korea and Arad Senki in Japan. There's a learning curve to understanding the story behind Ragnarok The Animation. Unless you have somewhat played Ragnarok Online, there's really no set goal other than a party of six adventures going around and ultimately facing off against the Dark Lord in the in-story world of Rune-Midgard. The story behind Ragnarok The Animation is pretty cut and clear for the most part. If you have played Ragnarok Online, then the the story can get somewhat predictable. This is usually a problem when anime series are adapted from MMORPG titles. But you need an original story when making a series such as Ragnarok The Animation. I did find the story to be somewhat satisfactory. It's come off as a love it or hate it story. If you have actually played Ragnarok Online, you might not like Ragnarok The Animation for a lack of in-game content as there is much content in the actual title. If you haven't played Ragnarok Online, you may appreciate the original story line. At the same time, Ragnarok The Animation does keep true to the plot element of the actual MMORPG. Having watched this and Arad Senki: Slap Up Party, there are comparisons that I could draw across. On that same note, I can do the same thing due to have played both Ragnarok Online and Dungeon Fighter Online. Ragnarok The Animation has a pretty decent story; it's good but not great. If you have played any MMORPG title, you should kind of know what to expect when watching Ragnarok Online. While the story is satisfactory, the story is kind of predictable. For example, it's kind of predictable if you watched Arad Senki: Slap Up Party before watching Ragnarok The Animation and vice versa. This is an example of the trend of Japanese anime titles being adapted from the Korean MMORPG titles that continue to grow in popularity across Asia. I do feel that Ragnarok The Animation may have come out a bit too soon. This is due to Ragnarok Online first being adapted from the Korean manwha. The manwha followed an amnesiac warrior who goes by Chaos. The story is rather different from the anime. I felt that Ragnarok The Animation was either should have been adapted from the original manwha or waited a bit longer as RO (Ragnarok Online) had gotten more popular. With MMORPG titles, to keep players interested, has expansions every few months. With each expansion, there are new areas of the world to explore with stories in accordance with those areas. Also, there are new job classes offered as well. Eventually, RO added the following classes: TaeKwon Kid, Ninja, Gunslinger, and Super Novice. I can make the same contrast with Arad Senki: Slap Up Party due to new classes such as the Male Fighter, Female Gunner, etc. The main characters of Ragnarok Online make up the main party. They make of the archetypal six job classes original when Ragnarok Online first came out. Back then, you had just six classes to choose from. Then, you could go into one of the “expanded” classes. You have the following characters: Roan, Yufa, Takius, Maya, Iruga, and Judia. These characters represent the six main job classes; had they waited for RO to expand further, there could have been more job classes present in the series. Roan is the swordsman/crusader, Yufa is the acolyte/priest, Takius is the mage/sage, Maya is the merchant, Iruga is the thief/assassin, and Judia is the hunter. At the same time, the six characters represent transitioning from a first class job to one of the second class jobs. 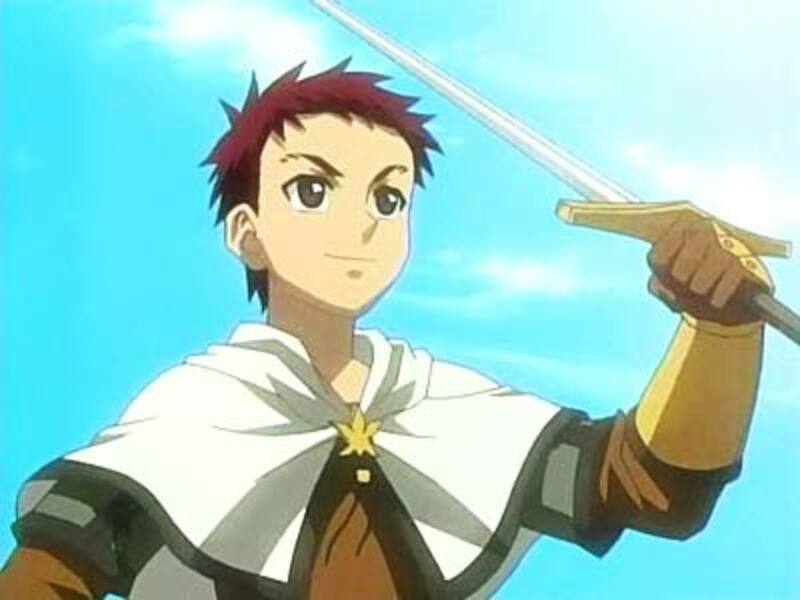 For example, Roan transcended from swordsman to crusader which is one of the two second class jobs. Another example would be Yufa transcending from acolyte to priest. So far, the six characters personify the character formula for any fantasy-type anime adapted from a role-playing game. These six characters are one example of how the game is different from the MMORPG title. In the original Korean manwha, there are six completely different characters. They didn't represent the different job classes of RO. Furthermore, which shows the game being different from the manwha, there is the introduction of the Dark Lord who is the main villain of the series. I felt the people that made the anime did the best with what they had to work with. While RO got praised as being a very good MMORPG title, it got criticized for a lack of main story and quests (which would be useful for the anime's story). Then you have other antagonists introduced which add to the story. I felt the characters were very important to developing the story. Without a suitable main story to draw upon from the actual MMORPG title, it's up to the series' creators to come up with a story completely from scratch. The characters prove to be a prime example of how the anime is definitely different from the original manwha title. I felt the visuals were all right to an extent. After watching a couple of episodes, I felt that more work and effort could have been done for the animation. To me, this was an example of how others try to profit off the success of something pretty successful. 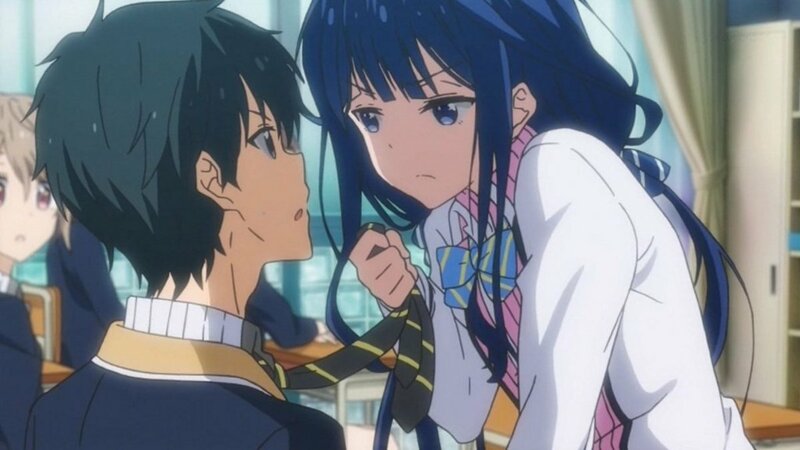 However, not all anime titles adapted from a game end up being bad or mediocre. Also, I didn't like the visuals as much as they seemed to be a bit kiddish. So far, the visuals are okay if you're in the younger age demographic. If you're part of the older demographic of anime fans, you might want to watch something “harder.” The visuals seemed to do the series enough justice. As I said earlier, I felt the anime should have waited a couple of years before the actual production phase and let RO get a bit more popular. That way, the visuals would be better and more material could be used. Ragnarok The Animation was okay and good, bu not great. The studio behind the series deserves props for developing a storyline from an MMORPG that seemingly has a lack of one. To get the most out of this series, don't use the MMORPG as a reference guide for the anime series. Look at Ragnarok The Animation as its own original story. Also, this is an example of how you shouldn't use the manwha as a reference guide either. Consider Ragnarok The Animation as its own story. However, there are better anime titles out there similar to RO. Keep in mind that this series is adapted from an MMORPG title. While Ragnarok The Animation is okay, it could be better.